Colorfully handcrafted in rich hues and enchanting detail, comes a delightful Personality Pose from Jim Shore! Capturing the beguiling spirit of Anna from Disney's Frozen, this piece will add a little sheer to any Disney collection. 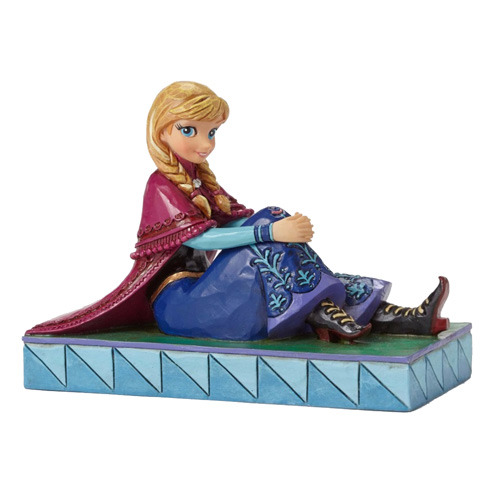 The Disney Traditions Frozen Anna Be Daring Personality Pose Statue is made of stone resin and measures approximately 4 1/4-inches long x 3 1/4-inches tall x 2-inches wide. Ages 13 and up.